Get social with us! Connect with entrepreneurs, small business owners, community leaders, city representatives and other like-minded people at all of our entrepreneurial events. Experience great networking opportunities and gain newfound knowledge. For upcoming dates and times for these events and more, visit Startup Sioux City's Event Calendar. Base 3 is a one-night entrepreneurial speaking event that focuses on entrepreneurship, innovation and community building. The event highlights 3 speakers from the entrepreneurial world who share their stories and experiences for others to learn from. Biz Brew is a networking event that aims to bring people together who are interested in fostering a startup community and creating a positive environment for businesses to grow. codingSUX is a collaborative study group for aspiring programmers of all ages to build their skills and connect with others interested in programming. Entrepreneurs in northwest Iowa counties can submit their business or startup ideas for a chance to win cash prizes at www.DreamBigGrowHere.com. 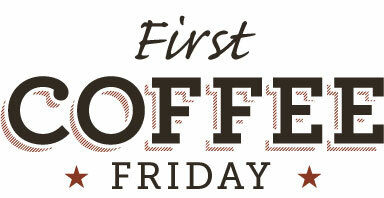 Join local small business owners, entrepreneurs, community leaders and other like-minded individuals for coffee and networking the first Friday of every month. A great way to meet others and share stories, struggles, and successes. Innovation Market is an annual business idea competition hosted by the Sioux City Growth Organization that aims to take ideas and turn them into reality. Financial awards are given to the top 2 ideas. Startup Weekend is a weekend-long, hands-on experience where entrepreneurs and aspiring entrepreneurs can find out if startup ideas are viable. With nearly two weeks dedicated to innovation, growth, networking and collaboration, Entrepalooza is full of opportunities to foster your ideas. This weeklong series of events relates to innovation and entrepreneurship. Launch Week is held annually in the fall to inspire, motivate, and promote collaboration among professionals. Take in the summer air and dine curbside in downtown Sioux City with Food Truck Fridays! The event features locally owned food trucks and their unique cuisine every Friday from 11am-1pm during the months of June, July and August. Five Siouxland entrepreneurs will have 5 minutes to pitch their business ideas to a panel of judges in Swimming with the Sharks for a chance to receive grants to help them grow their business. Venture School is a program designed to aid aspiring entrepreneurs in accelerating the startup process through real-world experimentation and valuable feedback.